Chennai’s suburbs and peripheral areas are always a hub of activities due to the burgeoning corporate sector and manufacturing activities. 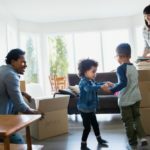 It is therefore no wonder that in areas around the city’s hinterland ready-to-move-in properties always attract a premium rate due to the large-scale developments taking place. In more ways, OMR has a well-developed infrastructure than other suburbs in the city. The stretch of OMR extending from Chennai to Mahabalipuram-about 45 kms-is Chennai’s iconic section. It is known as the IT corridor. It is home to a number of BPO and IT/ITES companies, including prominent manufacturing companies, government institutions, research centres, etc. On any day, about 11 lakh motorists use this section to commute for work. Many have also moved into neighbourhoods near OMR. As many new clusters of township developments take place, the entire stretch remains investors’ hotspot. OMR is also home to some of world-class healthcare centres, including Chettinad Health City, Tamilnad hospitals, Lifeline, etc. Hospitals are lined up on either side of the road, easily reachable and self-sustained. Even the approach roads are less prone to be choked during peak hours. Some of the nation’s top corporate health centres are lining up to make their presence felt in this fast developing section. When it was first conceived, OMR was stated to be an institutional zone-you have the nation’s top research centres, development agencies, and technical institutions dotting the landscape. Much of these institutions are abutting IIT-Madras, one of the premier educational centres in the country. The famed Roja Muthiah Research Library, MS Swaminathan Foundation, and other institutions have given this entire stretch a great reputation. OMR is famed for its large number of educational institutions, including schools and training institutions. It is home to a university (Sathyabama University) and more than two dozen colleges. The schools are modern, upscale, and exclusive, boasting an international atmosphere and educational excellence. 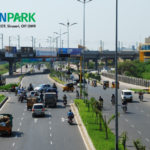 OMR is one of the most well-developed roads in Chennai, six-laned with service lanes. The feeder roads are wider and planned, covering all neighbourhoods in their wake and touching the main OMR, which is a state highway. 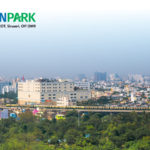 The state metro and MRTS connect it to far-flung areas of Chennai. The government’s recent announcement to start a double expressway for trains and vehicles has given another fillip to residents living here. OMR is still the go-to place for home buyers keen on embracing new trends and lifestyle with perfect work-life balance. Like in other upscale development areas, townships are fostering a sense of community, offering advantages in connectivity, convenience and luxury Flats in OMR. For instance, L&T’s Edenpark is a case in point. This gated township is located quite close IT hubs along the OMR and yet offers affordable luxury. As people moving into OMR look forward to commune with residents with shared identities, gated townships such as L&T’s Edenpark provides the perfect getaway. 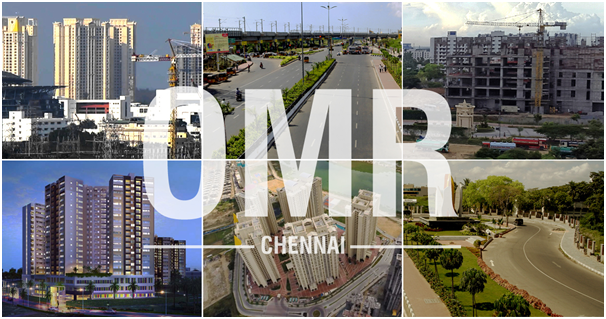 As property prices continue to rebound, investing along Chennai’s OMR holds promise for people who look forward to investing, living, and working here. 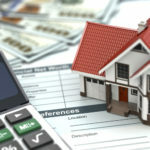 Savvy people know that their investment in OMR can never go awry.